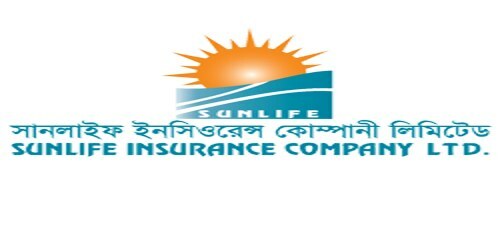 It is a broadly described annual report of Sunlife Insurance Company Limited in the year of 2013. The total premium of Tk. 143.94 Crore was collected in 2013 compared to Tk. 147.59 Crore in 2012. Total Life Fund account has reached to Tk. 309.69 Crore compared to Tk. 278.64 Crore in 2012 which is 11.15% higher than that of Previous Year. In 2013 investment position of the company has increased to Taka. 257.21 Crore compared to Taka. 218.70 Crore in 2012, which is 17.60% higher than the previous year. The Board of Directors has proposed @5% stock dividend (Bonus Share) on the paid up capital of Tk. 31 Crore 50 Lac divided into 3 Crore 15 Lac Ordinary Share of Tk. 10 each as per audited financial statement for the year ended 31st December 2013 and recommendation of Actuary. These financial statements are presented in Bangladesh Taka (Taka/Tk/BDT) which is the company’s functional currency. All financial information presented in Taka has been rounded off to the nearest Taka.